SACRMENTO, Calif. /California Newswire/ — Today, the Calif. State Assembly approved SB 505 authored by Senator Tony Mendoza (D-Artesia). The bill will ensure that California’s Voter Bill of Rights and other election materials are provided to voters in plain, accessible and easily understandable language. SB 505 now goes to Governor Jerry Brown for his consideration. “I am pleased SB 505 is on its way to Governor Brown for his consideration. 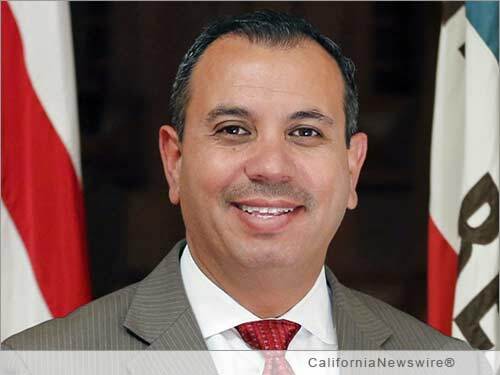 Citizens deserve clear communications during elections because it is vital that voters understand their eligibility to vote and how they can receive help with polling place problems,” said Senator Tony Mendoza. “Improving election materials by using plain language techniques is common sense,” added Mendoza. “Studies have shown that voters are confounded by the legalese in California’s voter pamphlet, on the outside of the absentee ballot envelope and on election materials. SB 505 will strengthen our democracy and protect voting rights by requiring elections materials be provided in clear, easily understandable, plain language,” said Senator Mendoza. “If everyone, not just attorneys, can understand their voting rights, then we have gone a long way in enhancing and protecting our democracy,” said Mendoza. The Voter Bill of Rights is provided during every election cycle in the ballot pamphlet and posted at every polling place. It seeks to ensure that voters understand their eligibility to vote, how they can receive help with voting or other polling place problems, their ability to be provided election materials in another language, their rights to be free from intimidation, whether their mail ballot is counted, and more. It also provides a toll free number for reporting denial of voting rights and other potential violations of election law. The Voter Bill of Rights is provided in ten languages including an American Sign Language video available on the Secretary of State’s website. Translation of the Voter Bill of Rights and other election materials has been challenging because standards for translation require direct translation of each word and the statutory wording. When source documents are written in plain language, translation is easier and more effective because the message that needs to be communicated is clearer. The Secretary of State has limited authority to ensure that election materials are prepared and provided in plain language. Specifically, SB 505 provides the Secretary of State (SOS) with the authority to revise election material wording and implement plain language techniques that are easy to understand and free from technical terms. This bill will improve voter access and usability of election material and help to ensure that voters are better informed about their key electoral rights. “The time has come for California to translate the legalese on our ballot pamphlet and voting materials. It should not be necessary to be an attorney or employ an attorney to understand what is written on the state’s ballot materials and at polling places,” added Senator Mendoza. “California’s voters deserve clear, easily understandable, plain language outlining their voting rights,” said Senator Tony Mendoza. Increasingly, corporations, state governments, federal agencies, and foreign governments are implementing plain language programs in order to achieve more efficiency and make them more understandable and effective for their constituents. Plain language programs focus on techniques that eliminate ambiguity, avoid obscure and archaic language and legal terms, and emphasize important messages so the reader can better understand written materials the first time they read or hear them. In addition, documents written in plain language will translate better into other languages and ultimately provide a better overall experience for the reader. Recently, several civic organizations have conducted studies and focused on how plain language can be used to improve elections. The Center for Civic Design, which is active in plain language evaluations across the country, recently studied election related plain language matters for California. During their study, when voters were asked whether they understood the Voter Bill of Rights, respondents said that they find it confusing. A key recommendation by the Center is to make plain language changes to the Voter Bill of Rights among other things.